The keto diet has received a lot of attention in recent years. Many people have achieved their weight loss and fitness goals by giving up the carbs and including healthy fats in their diet. With the ketogenic diet, you transform the way that your body burns nutrients for energy. 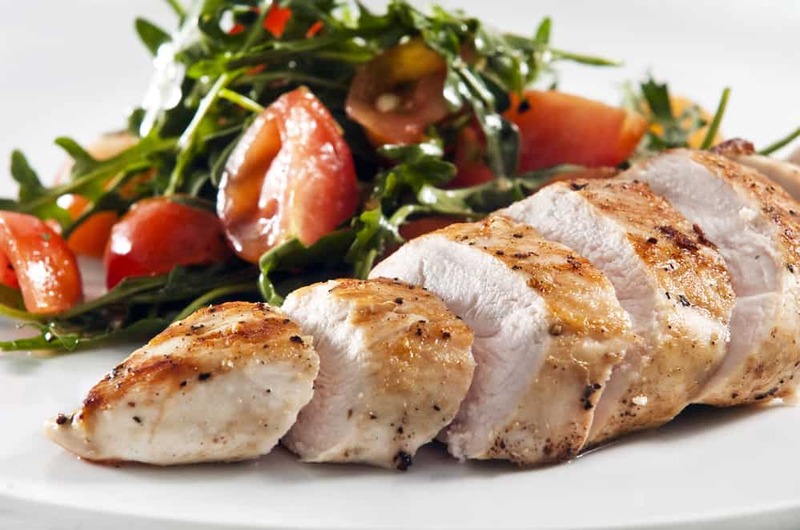 With this low-carb diet, you may finally blast the fat in those trouble areas. However, such as any diet, it is important to know what you are getting into. Here is everything you need to know to get started on the keto diet. The Ketogenic diet is a low-carb, high-fat (LCHF) diet aimed at replacing glucose with fat as your primary energy source. It has become a popular diet for those that want to lose weight. However, it may also provide a wide range of health benefits. Besides weight loss, the keto diet may help you gain better control of your blood sugars, improve mental focus, lower bad cholesterol, and boost your energy. The ketogenic diet is not like other low-carb diets. You are not just restricting your carbohydrates. The goal of this diet is to reach a state called ketosis. The typical diet contains a lot of sugar from carbohydrates. When you eat carbs, your metabolic process breaks down the food, absorbs nutrients, and produces glucose. Your body can easily convert glucose into energy, which makes it the main fuel for your body. Fat is more difficult to break down, so excess fat is stored. Ketosis is a natural state that your body enters when it runs out of glucose. When in ketosis, your body starts producing ketones and breaking down fat in the liver. By restricting your intake of sugar-filled carbs, your body starts burning stored fat for energy. Ketosis is the primary component of the Ketogenic diet. It is how people efficiently lose weight while following this LCHF lifestyle. The keto diet requires you to cut back on carbs to reach ketosis. The average keto dieter limits their daily carb intake to 30 grams or less of net carbs. However, you are not going to entirely replace the carbs with protein. The keto diet is also a high-fat diet. In fact, most of your calories will come from fat, as fat becomes your primary source of energy. Unlike the Atkins diet, you do not slowly increase your carb intake after you reach a certain weight or fitness goal. You sustain ketosis to continue burning fat for energy. The keto diet is also a lot older than the Atkins diet. It was developed in the early 1900s as a treatment for epilepsy in children. While the diet was effective at treating epilepsy, it was eventually replaced by medications to control seizures. The diet was mostly forgotten about over the years, until a resurgence occurred in the 1990s. Low-carb dieting became a fad and interest in the ketogenic diet increased. It is now one of the most popular low-carb diets and the subject of numerous studies. The effectiveness of the ketogenic diet for weight loss has been documented. When you cut out the carbs, your body burns fat. However, there is still a lot more to explore if you want to understand how this diet works. There are several ways to get started on the keto diet, depending on whether you want to count the protein, fat, and carbs of every meal that you eat. At the most basic level, the keto diet can be followed by sticking to 30 grams or less of net carbs per day. The net carbs are the total carbs minus the dietary fiber. By restricting your carbs to 30 grams or less, you may reach ketosis and start enjoying the benefits of the keto diet. However, due to other factors such as height, weight, gender, and existing health, the general 30-gram rule may not work for everyone. With the standard ketogenic diet, dieters consume a specific ratio of macronutrients. The typical ratio is 75% fat, 20% protein, and 5% carbs. Calories are comprised of macronutrients(macros). These macros include carbohydrates, fat, and protein. One gram of carbs or protein contains four calories while one gram of fat contains nine calories. If you want to follow the standard keto diet, you need to determine your caloric needs and then apply the standard ratio to calculate your macros. After you determine your daily macros, the next step is to start planning your meals. Following an LCHF diet is a major change for most people, as it requires you to give up a lot of foods that you may eat regularly. Instead of just selecting meals as you go, it is important to have a meal plan. People tend to have greater success when they plan out their meals at least a week at a time. When selecting a meal, dieters need to pay attention to the total protein, fat, and carbs. Keeping a running tally of these macros throughout the day ensures that you do not exceed your daily limits. While it is okay to eat a little more protein or fat on any given day, consuming a few extra carbs may force your body out of ketosis. The keto diet is a high-fat diet, which means that most of your calories will come from fat. There are good fats and bad fats. Most of the fats that you will want to eat include natural fats, such as olive oil, coconut oil, and butter. You also get some fat from fish, meat, and eggs. High-fat cheese is also sometimes included in keto meals while heavy cream is often used for cooking. Unprocessed meat is also an important part of the keto diet. However, you still need to pay attention to how much protein you are eating. Consuming too much protein can take your body out of ketosis. When you consume too much meat, the excess protein gets converted to glucose. The extra glucose may keep you from reaching or maintaining ketosis. Processed meats should be avoided or consumed in moderation, as they contain added sugars and preservatives to help increase their shelf life. Sausages, lunch meat, and cold cuts are not the best source of protein for the keto diet. Fish and seafood tend to be great sources of protein and essential fatty acids. Wild-caught fish is the recommended choice. However, salmon and trout are also popular. Eggs are a great source of protein and can be prepared in various ways. While people used to worry about the cholesterol in eggs, consuming eggs may not have a major impact on your overall cholesterol levels. However, you should still avoid consuming too much of anything, including eggs. Consuming several dozen eggs per day may be enough to start increasing your bad cholesterol levels. Dairy may also play a role in your keto diet. High-fat dairy, such as yogurts, cheese, and butter are commonly included in keto recipes and meal plans. Keep in mind that some of these foods contain quite a few carbohydrates. For example, one glass of milk can contain 15 grams of carbohydrates. Vegetables provide your body with beneficial vitamins and minerals that you may not get when you cut most fruit out of your diet. Dark, green leafy vegetables are the recommended option. Broccoli, lettuces, and cabbage are great choices. You can even fry these foods in butter to add healthy fat. Nuts may also be eaten on the keto diet. You just need to keep track of the carbohydrates. It is easy to eat more than a handful and end up doubling your carbohydrate count for a quick snack. By focusing on what you should eat, it is easier to avoid the foods that may derail your diet. The easiest way to remember what not to eat on the keto diet is to avoid processed foods. This includes bread, pasta, baked goods, snacks, chips, and anything made with flour or refined grains. Fruit is not a major part of the keto diet. However, there are some fruits that do not contain a lot of carbohydrates. You may also find keto recipes that include a small amount of chopped fruit. Various fruits contain beneficial nutrients that you cannot get from other food sources. When possible, you should try to include small servings of fruit in your meals without exceeding your daily carb limit. Most of your carbs should come from healthy sources, such as vegetables. Keep in mind that you will also consume some carbohydrates from the fatty foods and proteins that you eat. Figuring out what to eat and not eat becomes easier the longer you stick with the diet. People tend to do better on this diet when they accurately track their macros each day. Instead of attempting to keep track of the total amount of protein, fat, and carbs that you eat with each meal, you can write these numbers down or install a meal-tracking app on your phone. As mentioned, the typical keto dieter eats 30 grams or less of net carbs per day. For the average adult, 30 grams of carbs is the ideal target to reach ketosis. However, people are not all built the same. Some people may need to eat more or fewer carbs to achieve and maintain ketosis and start burning fat. By calculating your daily macros, you get a more accurate goal for your daily carbs. With the ketogenic diet, you may need to occasionally recalculate your macros. For example, after you have lost a certain amount of weight, the number of calories that you need to consume each day may change. By continuing to eat the same amount of carbs each day, you may not maintain ketosis. You should also pay attention to your body. Even after calculating your macros based on your caloric intake, you may have trouble burning fat for energy. It may take between two and seven days to reach ketosis. After following the keto diet for a couple of weeks, you should assess your health and whether your body has entered ketosis. If you are not burning fat for fuel, you may need to restrict your intake of carbohydrates even more. How Do You Know If You Have Achieved Ketosis? You may lose up to 10 pounds the first week on the keto diet. While most of this weight loss is water weight, it is still a sign that you are entering a state of ketosis. Bad breath is a common side effect of the keto diet. In fact, bad breath is one of the best indicators that you have achieved ketosis. It is the result of the higher ketone levels in your body, as ketones exit your body through the urine and saliva. You may notice that your breath is a little fruity or unpleasant. It is typically not a major problem. If you are worried about the bad breath, chewing sugar-free gum may help. When your body reaches ketosis, you may experience a decreased appetite. There are several potential causes for appetite suppression, including the increased intake of protein and fat. You may also want to eat less due to changes to the production of gastrointestinal hormones. Basically, the lack of hunger is from supplying your body with an optimal amount of food. Some people experience fatigue right before they reach ketosis. The fatigue is a short-term issue, as your body is using up glucose and making the transition to burning fat for energy. Fatigue is one of the main reasons that people give up on the diet. However, the problem should pass when you make the complete transition to ketosis. Along with these signs, your blood should have higher levels of ketones. There are three ways to measure blood ketones. You can take a blood test, a breath analyzer, or a urine test. The blood test kits are expensive, but they do provide the most accurate determination of whether you have achieved ketosis. Breath analyzers and urine strips are less expensive. However, they are not quite as accurate. 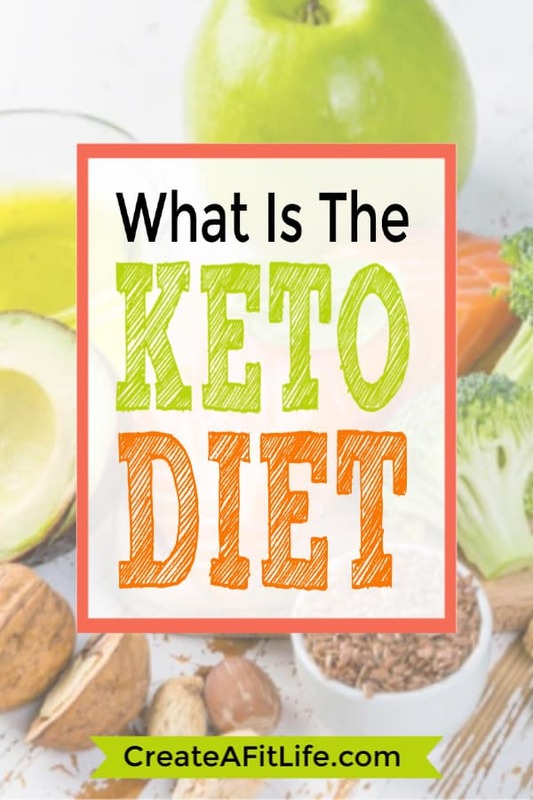 How Is the Keto Diet Different from Atkins? The Atkins diet is another popular low-carb diet. However, there are several key differences between the Keto diet and the Atkins diet. Both diets help you reach ketosis. On the Atkins diet, you only use ketosis for the first phase. With the keto diet, you maintain ketosis. A cardiologist is responsible for creating the Atkins diet. Robert Atkins released his diet plan in 1972, which consists of four phases. The first phase is called the introductory phase and requires you to restrict your intake of carbohydrates. During the introductory phase, you can only eat 20 to 25 grams of net carbs per day. These carbs come from vegetables, cheese, seeds, and lots of nuts. With the reduction of carbs, your body goes into ketosis, helping you burn fat and lose weight. When you are close to your ideal weight, you start adding carbs. With phase two, you can consume up to 50 grams of net carbs per day. This takes you out of ketosis and is one of the biggest differences between the Atkins diet and the keto diet. Another difference is the amount of protein that you consume. On the Atkins diet, you can eat as much protein as you want. On the keto diet, you should calculate your daily macros to determine how much protein you can eat. Most adults can consume about 100 grams of protein per day on the keto diet. Some people may find the Atkins diet a little easier to stick with, as you can eventually add more carbs to your diet. However, adding more carbs to your diet also increases the risk that you will go back to your old eating habits. The ketogenic diet provides a sustainable option for maintaining your ideal weight. While you need to continue to restrict your carbs, your body adapts to the changes and you can easily remain satiated. How Much Magnesium Should You Have on the Keto Diet? When you follow the keto diet, you need to cut most fruit and nuts from your diet. Unfortunately, these foods are also great sources of important vitamins and minerals, such as magnesium. While you can eat a well-rounded meal on the keto diet, you may end up with a magnesium deficiency if you do not pay attention to what you eat. The recommended daily allowance for magnesium is about 400 milligrams for men and 310 milligrams for women. You need this nutrient to maintain your health. It is essential for a variety of processes in your body. If you do not get enough magnesium, you may start to feel fatigued. Doctors believe that this occurs due to the loss of potassium in your muscle cells, which is a result of a magnesium deficiency. Muscle cramps are also common. In some cases, people with magnesium deficiencies also experience seizures or convulsions. Without magnesium, you may also suffer from bone loss. Osteoporosis is more of a risk for older individuals. However, the effects can start early, especially if you have a magnesium deficiency. High blood pressure is another potential risk of not getting enough magnesium. When you have high blood pressure, you are at greater risk of developing heart disease. There are foods that you can include in your diet to get more magnesium without ruining ketosis. One ounce of almonds contains about 75 milligrams of magnesium and six grams of carbs. One cup of cooked spinach also contains about 75 milligrams of magnesium and three grams of net carbs. Besides magnesium, people on the keto diet may suffer from other vitamin and mineral deficiencies. Some of the most common deficiencies include sodium, potassium, and calcium. You can also find low-carb foods that contain some of these vitamins and minerals. Bone broth and seafood are good sources of sodium. Spinach, kale, and avocado can supply your body with potassium. To get the recommended 1000 to 2000 milligrams of calcium, you can eat more cheddar cheese, sardines, broccoli, and almonds. If you are worried about vitamin or mineral deficiencies, you may also start taking a multivitamin. Most multivitamins contain at least the minimum recommended daily allowance for each of these important vitamins and minerals. What Are Macros on a Keto Diet? “Macros” is the shortened name for macronutrients. The food that you eat contains a certain number of calories. However, not all calories are equal. They are comprised of three macronutrients – protein, fat, and carbs. Each gram of one of these macros provides a specific amount of energy. With carbs and protein, each gram is equal to four calories. Fat is a more efficient fuel source and takes longer for your body to break down. Instead of four calories, each gram of fat contains nine calories. Macros are used to achieve the proper balance of carbs, protein, and fat in your daily diet. There are several macro ratios used for the keto diet. However, the most common requires you to consume 75% of your calories from fat, 20% from protein, and 5% from carbs. Keep in mind that your calorie requirements may vary. There are several methods for calculating your recommended daily calorie intake. However, these methods often require complex math formulas and calculations. The average woman needs about 2000 calories per day to maintain weight, while the average man needs to eat about 2500 calories per day. These recommendations are for healthy adults with average heights, weights, and body fat percentages. If you are shorter or taller than average, obese, or skinny, you may need to eat a little more or less than the recommended average calories per day. To calculate your macros, decide on your calorie intake for the day. Use the ratios listed to determine how many calories should come from protein, carbs, and fat. Once you know how many calories you need from each macronutrient, you can divide the calories to determine the number of grams. With protein and carbohydrates, you divide the number of calories by four. With fat, you divide the number of calories by nine. If you eat 2000 calories per day, 1500 calories should come from fat, 400 from protein, and 100 from carbs. These calories equal 166 grams of fat, 100 grams of protein, and 25 grams of carbs per day. How Long Can I Stay on the Keto Diet? Many keto dieters stick with the diet, even after they reach their fitness goals. The ketogenic diet is sustainable for long-term use. However, there is concern over potential health risks when remaining in a state of ketosis for many months or years. Some of the proponents of the keto diet claim that it is not a healthy long term diet plan. They state that there is no research into the long-term effects of maintaining ketosis. However, this is not the whole truth. Studies have shown that the Inuit Native Americans likely lived in a constant state of ketosis. There were also several tribes that likely maintained ketosis during certain seasons. These groups experienced ketosis for most of their lives. The ketogenic diet was originally created to help treat children that suffered from epileptic seizures. Children that were successfully treated often remained on the diet to prevent a recurrence of seizures. Some of these children remained on the diet for 12 years or longer. While there is a lack of research on the long-term effects of the keto diet for modern adults, there are many individuals that have followed this diet for years. The one potential issue of maintaining long-term ketosis is excessively high levels of ketones in your bloodstream. When your blood has high levels of ketones, you may also have high amounts of acetone, which is a clear liquid that is commonly used in furniture polish and rubbing alcohol. Acetone poisoning may lead to a condition called diabetic ketoacidosis. However, the average person has little risk of developing this condition. It is more of a risk for diabetics and even diabetics rarely develop diabetic ketoacidosis. The bottom line is that there is no strong evidence to suggest that the keto diet is not fit for long-term use. However, people should pay attention to their bodies. If you begin to experience headaches, lethargy, slurred speech, or a lack of coordination, you may be suffering from ketoacidosis and should consult with your doctor. Are There Variations of the Keto Diet? The standard keto diet provides the best chance of helping you reach ketosis. It is also one of the easier versions of the diet to follow. With the standard diet, about five percent of your total calories should come from carbohydrates. The cyclical keto diet is often used by bodybuilders and for high-intensity interval training. With the cyclical keto diet, you eat a low-carb keto diet for five days a week, followed by two days of carb-loading where you eat a high-carb diet. When loading up on carbs, about 70% of your calories should come from carbohydrates. During the five days that you follow the low-carb keto diet, you may get close to reaching ketosis. However, you do not truly achieve this state on the cyclical keto diet. The targeted keto diet requires you to eat 20 to 50 grams of net carbs about 30 minutes before you exercise. Instead of spreading your carb intake throughout the day, you eat all your carbs in a single sitting just before you work out. The carbs provide fuel for your workouts and your muscles. Athletes and those that workout regularly may prefer this modified version of the keto diet. The high-protein keto diet includes a little more protein compared to the standard keto diet. Instead of getting 20% of your calories from protein, you should eat about 60% fats, 35% protein, and 5% carbs. Due to the extra protein, the high-protein keto diet is also a great choice for athletes and those that want to build muscle. Conclusion – Does the Keto Diet Really Work? Like any diet, your success with the ketogenic diet depends on many factors, including your ability to stick to the diet. If you want to increase your chances of success, remember to plan your meals and calculate your macros. In the end, the keto diet is one of the most used low-carb diets. It offers a unique approach to dieting that may help people lose weight and reduce their risk of diabetes. With the keto diet, you are burning fat for energy instead of glucose, which may be what you need to finally burn the fat in the trouble areas on your body.